Well we don't just get out on the weekend. 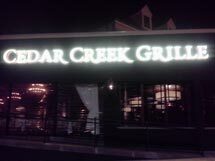 This trip has us visiting Cedar Creek Grill in Beachwood, Ohio on Tuesday. This is a new restaurant, its buzzing with excitement. 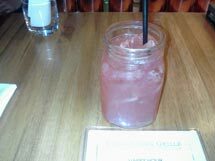 Today libation is Lance's Last Call, its all in the name, quite tasty along with lobster bisque. Its a great combo..Good job!